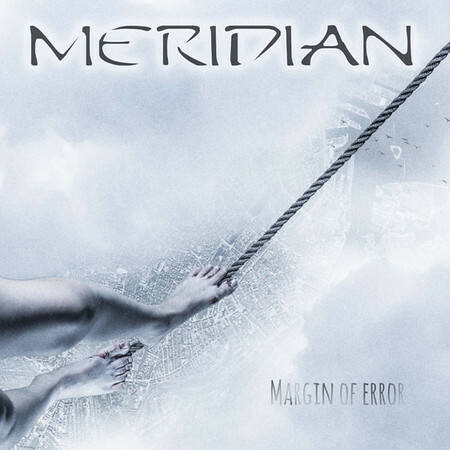 Meridian formed in 2005, releasing EP’s in 2007 and 2009, before their first album “Metallurgy” was released in 2013. There have been a few changes in guitarist over the years, but the band line-up has been stable since 2015; just after the recording of the second album “Breaking The Surface”. This album was released in September 2016 and a recommendation was posted for it on the Rock Radio NI website- http://www.rockradioni.co.uk/back-stage/music-reviews/2804-ni-rocks-recommends-qbreaking-the-surfaceq-by-meridian.html . The remaining original members are vocalist Lars Märker, bass player Peter Bruun and drummer Klaus Skjoldbord Agerbo. They were joined in 2012 by lead guitarist Martin Jepsen Andersen and in 2015 by guitarist Marco Andioni. The latter owns “Death Island Studios” where the new album was recorded. The writing and recording of “Margin of Error” was delayed partly by the fact that some of the band members were working with singer David Reece on the album “Resilient Heart”.